H861A3P was successfully added to your cart! H861A3P could not be added as a favorite. Please make sure you are logged in. Upper belt. 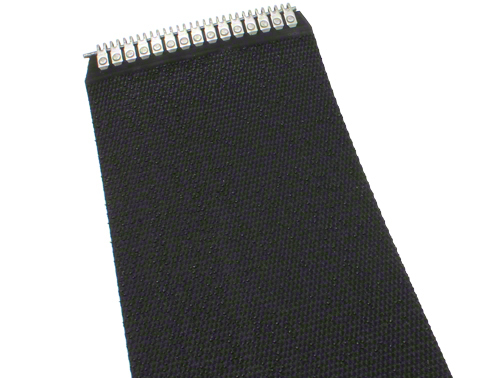 3-ply heavy rough top, 7" x 547", Flexco lace. RB46 (6), RB46B (8), RB56 (8), RB56B (8), RB463A (6), RB563A (8). 846A (6), 856 (8), 856A (8), 946A (6), 956 (8), 956A (8), 5446A (6), 5456A (8), 5546A (6), 5556A (8). 2646A (6), 2656A (8), 2746A (6), 2756A (8).